･Emboss treated surface to support driver body in hard sports driving. ･left-han is no confirmation on fitment. 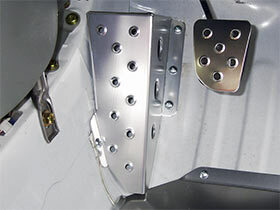 ･Install to the vehcile floor with screws.